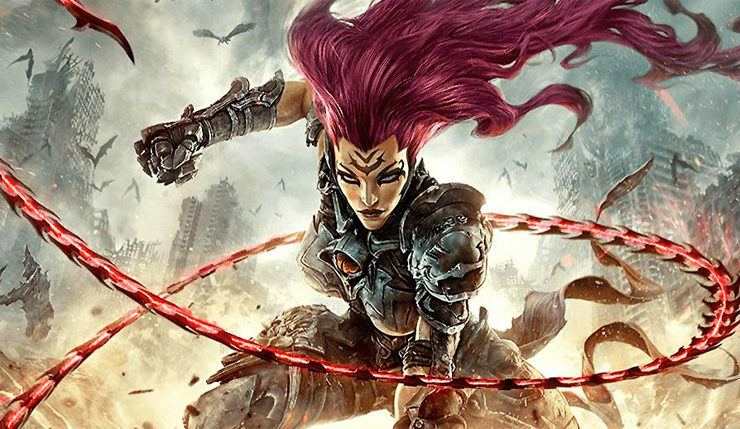 Yesterday we brought you a new glimpse of Darksiders III in action, and now the folks at IGN have unleashed a much-meatier 11-minute clip. The footage shows protagonist Fury making her way through the underground world known as The Nether, including a ruined subway and rocky cave-like area. While down there she whips some baddies to pieces, takes on a big bug boss, and buys some stuff from a demon merchant who sounds a lot like Mark Hamill doing his Joker voice. I don’t believe Hamill has been confirmed for Darksiders III, but he lent his voice to past games in the series, so I wouldn’t be surprised if that’s him. Check out the footage, below. Looking pretty solid! Perhaps a little slow-paced, but this seems to be the early part of a level – presumably the intensity will pick up later. Also, Darksiders aims for a Zelda-esque action-adventure feel, so non-stop combat isn’t really the focus. Play as Fury – A mage who must rely on her whip and magic to restore the balance between good and evil here on Earth! Explore an open-ended, living, game world – Fury moves back and forth between environments to uncover secrets while advancing the story. Defeat the Seven Deadly Sins – Take down these bosses and their servants who range from mystical creatures to degenerated beings. Darksiders III unleashes its fury on PC, Xbox One, and PS4 on November 27.